Most of the time when we are troubleshooting complex issues we need to refer the log files and i face lot of issues personally in understanding which log file should i refer for this kind of issue or which log file should i refer for the other type of issue. So thought of dedicating an article in my blog in which we will understand what are the various types of log files available, and the description about each type of the log files available. Have also updated the to various types of Logs so as it can act as one stop shop for all the logs we may have to deal with when working with VMware Products. %ALLUSERSPROFILE%\VMWare\vCenterServer\logs folder for Windows vCenter Server. VMware vCenter Server Appliance 6.0 logs are located in the /var/log/vmware/ folder. vpxd.log - Consist of tasks and events information, communication with vpxa, vSphere client and Web Client. vpxd-alert.log - Non Fatal information logged about the the vpxd process. Hostd.log - Host Management Service related logs. vmkernel.log- Virtual Machine startup and Device Driver related events. syslog.log- Scheduled Tasks and DCUI use. vmksummary.log - Summary of Esxi host start and shutdown and number of virtual machines running. Below mentioned links will help you to find out all the types of log files in VMware. 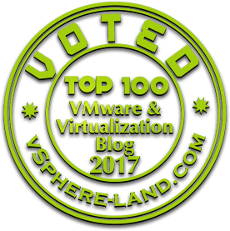 I have gathered all above links from various VMware KB articles and i hope i covered most of them. If in case i missed out anything, please don't hesitate to help me expand the list by putting your comments with the link/url.